We are an aesthetic clinic providing skin, laser and cosmetic treatments. Our aim is to respond to your individual needs with the greatest of care and skill in a caring and friendly environment. Magma Diode Laser treatments for hair removal and skin rejuvenation. Dermapen® skin revjuvenation treatments to soften lines and wrinkles, and manage many skin conditions such as roseacea, alopecia, scarring and stretch marks. Intense Pulsed Light (IPL) treatments for hair removal and treatment of skin imperfections. Dermapen Cryo treatments to freeze skin imperfections including warts, skin tags and blood spots. Silhouette Soft® - One Stitch Face Lift a unique treatment combining lifting and regenerating. Radio Frequency - Mesobiolift for skin rejuvenation. Non Surgical Rhinoplasty to remodel the nasal framework. BIOPTRON Light Therapy for treatment of pain, wounds, dermatological disorders and Seasonal Affective Disorder. Mesotherapy for skin rejuvenation and brightening. 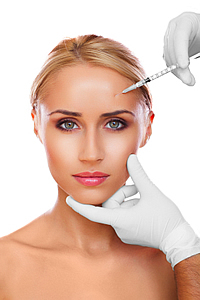 Dermal Fillers to soften facial contours. 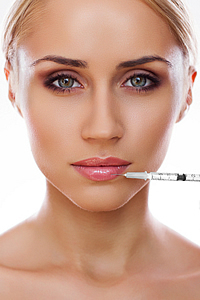 Anti Ageing injections to soften the appearance of lines and wrinkles. Tattoo Removal using laser technology. Facials including DNA Repair, Acne Therapy, Caviar Therapy, Hyaluronic Therapy, Sensitive Therapy and Proteinous Lifting Therapy. Eye Therapy anti ageing and firming treatment for the sensitive eye areas. Lip Enhancement - for plumper lips. Treatments to remedy excess armpit sweating. Find out more about our wide range of rejuvenation treatments.